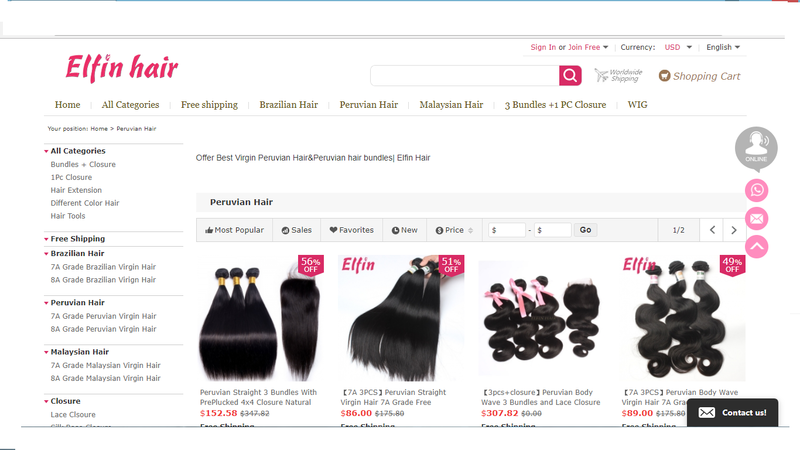 Which one is the best , Virgin Brazilian Hair , Malaysian Hair or Peruvian Hair ? 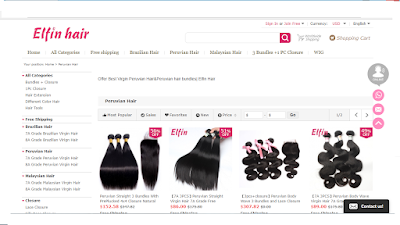 With all the amazing unique traits that comes with Virgin Brazilian , Malaysian and Peruvian Hair , deciding which one you want can be such a chore – especially when you barely know what each one offers .And if it makes you feel better , then perhaps we should tell you that you are not the only one who can’t seem to make a choice . But knowing the virgin hair bundle to purchase wouldn’t be such a herculean task if you have some prior knowledge , would it ? To help you make a more calculated choice , We put together the most outstanding traits of Malaysian , Brazilian , Peruvian hair in this blog post . Now let’s get one thing out of the way before we get started . We are not taking any sides in this post . In fact we think all virgin hair bundles are great but each one is unique in its qualities and appeal . That’s said , Let’s get right into it . These hair extensions come from all over Brazil in different length and natural color and are renowned for their almost unreal bounce , great texture and shine . Popular opinion says Brazilian Bundles are the most beautiful hair you can find around. A genuine piece of Brazilian hair is going to be soft and smooth . It is available in wavy , straight or curly textures. The straight textures are not outright straight , as they can also have light bends in them . This hair holds curls a longer that other virgin hair bundles out there. Texture may vary from natural straight to natural full bouncy body wave. The use of this type of hair is popular in most West African countries and of course Brazil and South America . As long as you take good care of it , You will have no reason to regret getting a Brazilian Virgin Hair Bundle . And the good news is maintaining it does not involve anything special , Just the usual wash with shampoo and a few hair products will do. Due to its Natural Density , the hair is less likely to frizz -which is a big plus since you can use fewer bundles to still maintain a full look . How can you spot a bundle of Malaysian hair ? It comes with extra shine , It’s particularly glossy . If you would hate something so glossy , don’t worry , the gloss wears off to give a more natural look and feel after some washes . Malaysian hair is known to hold curls very well for an entire day or until restyled . As far as texture goes , Malaysian hair gives a soft silky feel , and it has a great bounce to its motion. If you want volume and thickness , Malaysian hair is a good option . It does not hold moisture as well as the other virgin hair bundles on this list , but with a good conditioner and hair moisturizer, you won’t have to worry about that . It requires little washing due to its density , hence you can trust this hair to retain its colors well . Peruvian hair is just now gaining grounds among hair savvy women .This hair has become popular because of its good blend with African American relaxed hair and Caucasian hair textures. It is a little coarser and thicker in texture than Malaysian or Brazilian hair . Peruvian hair easily passes as a multipurpose hair. You can change your look and style as frequently as you want without causing a lot of damage to the hair . It’s amazing how it is very voluminous but lightweight. A lot of people prefer Peruvian hair because it is extremely manageable ( i.e easy to maintain ) .These bundles work just fine for straight sleek styles as well as short edgy styles .